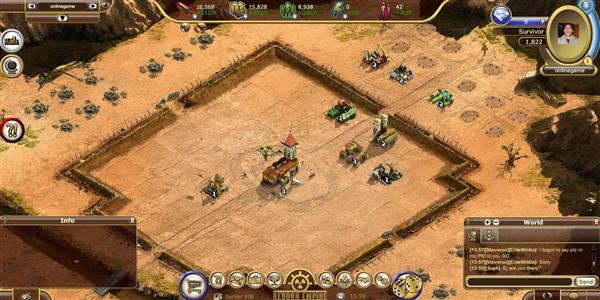 Reborn Empire is a free to play online strategy browser game by Digital Chocolate. 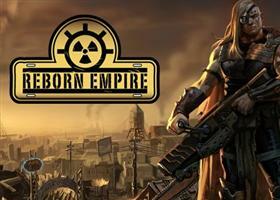 Your mission is to rebuild a civilization in the post-apocalyptic world of Reborn Empire. 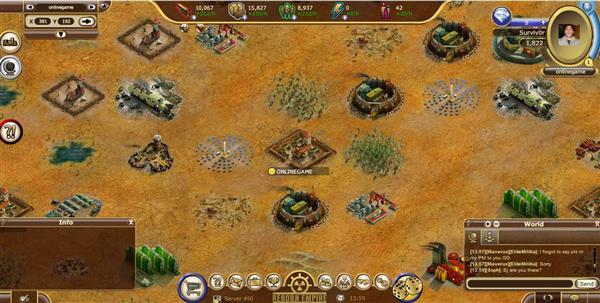 Grow your army, rebuild your city, and develop alliances to become a superpower. 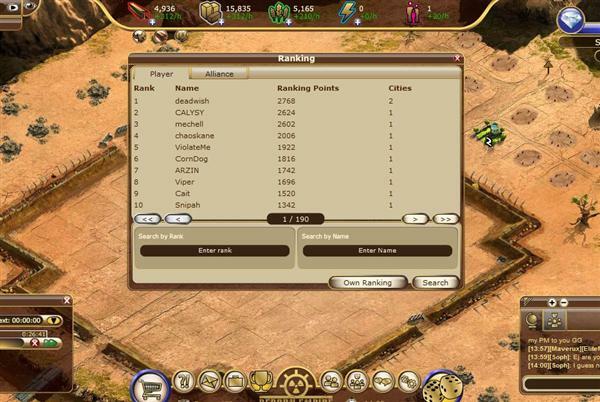 When you first start playing Reborn Empire you are granted 7 days of Beginner Protection. For 7 days you will not be able to attack any other players, but they also will not be able to attack you. The only exception to this rule is Marauder Camps. These NPCs are at your mercy, regardless of your protection status. Additionally, you will find a Truce Agreement in you inventory. In order to activate your Truce Agreement go to your inventory and click on the Utility tab, select your Truce Agreement, and click on Use. Upon activation you invoke 5 days of truce. These 5 days of truce work in exactly the same way as the 7 days of Beginner Protection did. Should you feel the urge to attack other players despite the fact that you are still covered by Beginner Protection or under the effect of a Truce Agreement, you can always just deactivate the Truce effect. 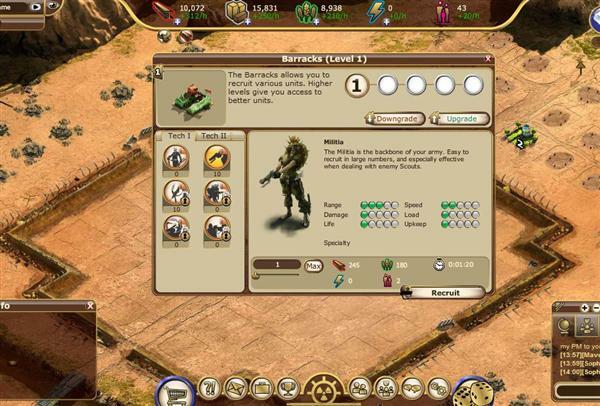 In order to deactivate the given Truce effect, simply click on the corresponding icon in your list of currently active effects below the resources bar at the top of the screen. On the other hand, should you prefer to remain protected for an extended period of time, you can always purchase additional Truce Agreements in the Reborn Empire shop. As soon as you meet all the requirements you just need to find an empty Flat on the Region Map, conquer it by sending troops and then follow up by sending one of your Reclaimers on its merry way. As soon as your Reclaimer arrives, you can call yourself the proud owner of brand new city. All you need to spin the Wheel of Fortune is 3 Roulette Chips. Roulette Chips can be purchased in the Reborn Empire Shop, but you are also awarded three Roulette Chip every 24 hours that you log into the game. Spinning the Wheel of Fortune itself is easy. Press the Green Button and the Wheel of Fortune will start spinning. 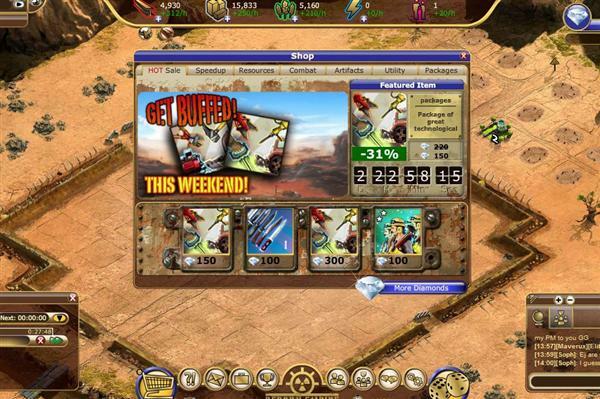 Any items you win will automatically be moved to your inventory. You can use these items right away or save them for later. The items on the Wheel of Fortune vary on a daily basis. So come back often and play often. You never know how lucky you might get. Related Tags: digital chocolate, Reborn Empire, strategy.